2011 Donor Profiles - IEEE Foundation, Inc.
IEEE Fellow Dr. Isamu Akasaki was bestowed the 2011 IEEE Edison Medal for a career of meritorious achievement in electrical science, electrical engineering, or the electrical arts. His development of technology behind today's high-brightness display lighting and advanced entertainment devices launched a new market for optoelectronics devices. Based on the royalties from his patents, the Akasaki Institute at Nagoya University was founded in 2006. Dr. Akasaki is a generous advocate of technology who donated his Edison Medal honorarium equally between the IEEE Foundation and the IEEE Awards Program. His donation represents his commitment to inspire young researchers to continue innovative research and to continue to recognize those whose power of persistence created technology to benefit humanity. Dr. Akasaki became an IEEE senior member, when he was a professor of Meijo University and became an IEEE Fellow in 1999. Throughout his career, Dr. Akasaki accessed his membership benefit of the IEEE journals and publications, as well as attending IEEE sponsored conferences in his field. He was also awarded the 1998 IEEE Jack A. Morton Award, along with Shuji Nakamura, "For contributions in the field of group-III nitride materials and devices." Throughout his illustrious career, Dr. Akasaki remains a humble and kind industry giant who holds dear the value of giving back so others can advance. Without Dr. Akasaki's persistent efforts in the early 70's and 80's, there would not have been the solid state lighting revolution using GaInN LEDs now taking place around the world. His commitment to technology and to IEEE is as stellar as his career, and his donation to the IEEE Foundation and IEEE Awards Program is meaningful. Dr. Akasaki, a professor with Meijo University's Graduate School of Science and Technology and a Distinguished University Professor of Nagoya University, Japan, is still inspiring young minds and research in solid state lighting. "IEEE is the foundation for engineers to work together to serve our global society and I would like to wish the IEEE continued prosperity for many years to come." Dr. Akasaki. IEEE Life Senior Member "I am not able to sit back and let others do a job I can do, so I volunteer." 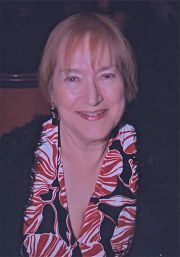 Fiorenza started in her local section, then in Vancouver where she established the Computer Society Chapter. She served on several committees and now volunteers for the IEEE Canada Foundation and is liaison to the History Committee for the MGA. As a member of the Life Members Committee she serves on the Grants evaluation committee for the Foundation. "I appreciate efforts to help individuals expand their potential which is an IEEE Foundation initiative. I appreciated the scholarships I received to become an engineer, especially at the time in Italy when women were not venturing in technical fields," said Fiorenza. I was the only female student in the school of engineering at the University of Roma amongst 750 male students," she recalls. "I am trying to return the favor for individuals who need it to feel appreciated, through the grants the Foundation distributes," she added. The Eniac coaster, representing an IEEE Milestone and offered as a giving incentive to the IEEE Life Members Fund, is significant to Fiorenza. "My professional life, interests and hobbies are all related to computers. Also, the image of the lady in the forefront makes me feel as if I am in the picture," said Fiorenza. Eniac, was before her time, but it was certainly inspirational. "There are individuals around the world who need support, certainly financially. It becomes the push to do the best they can to improve the world around them. Being a part of the efforts of the Life Member Fund of the Foundation, as we achieve Life Member status, make us better individuals, able to return the support and encouragement we received from the IEEE during our careers." 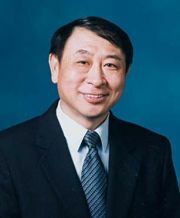 IEEE Life Member IEEE Life Member, Fang-Chen Luo, was named a co-recipient of the 2011 IEEE Jun-ichi-Nishizawa Medal for his long-term contributions to the development of thin-film-transistor liquid-crystal displays. This work set the stage for the proliferation of today's flat-screen televisions, monitors, and mobile phones. Without a second thought, Dr. Luo knew he was going to donate his award honorarium to the IEEE Foundation. A visionary by nature, Dr. Luo knows, firsthand, the significance of achievement through perseverance. After all, in 1974 when his team first fabricated a working 5-inch by 5-inch 100 x 100 pixels TFT driven panel at Westinghouse R&D Center, the news was soon reported by a TIME magazine article titled "Picture On the Wall" featuring a photo of Dr. Luo holding a working panel. That "picture on the wall" is today's TFT-LCDs. Dr. Luo's meritorious career is a result of focused research through support of all levels. He understands that a donation to the IEEE Foundation is a contribution to the many programs of the IEEE Foundation, from new and innovative projects to educational grants that foster technological innovations that ultimately benefit humanity. 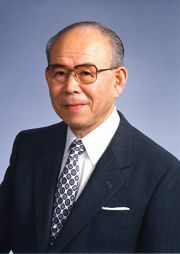 In his acceptance speech upon receiving the 2011 Jun-ichi-Nichizawa Medal, Dr. Luo graciously thanked all the engineers around the world who have contributed to the continuous developments of the technology of the thin-film-transistor liquid-crystal display. This statement reflects Dr. Luo's commitment to the work of the IEEE Foundation and his honor of being able to enable future technologists to never give up on their work. Dr. Luo is a Fellow of Society for Information Display. His honors include the SID Special Recognition Award and the Outstanding Industrial Innovation Award and the Gold Panel Award, both from the Taiwan's Ministry of Economic Affairs. He is the Chief Intellectual Property Officer and Vice President at AU Optronics Corporation in Hsinchu, Taiwan. "I am honored and humbled to receive the Jun-ichi-Nishizawa Medal and grateful to be able to give back to the IEEE Foundation so others can continue their work and live their dream," said Dr. Luo. 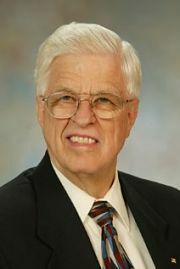 IEEE Life Fellow George F. McClure joined IEEE in 1957 and achieved IEEE Fellow in 1981. George was a very active volunteer member, but IEEE Foundation most appreciates his service as chair of the Life Members Committee. George said he volunteered for, "the satisfaction that comes from volunteering, contributing to the profession, and the association with top-flight engineers in my field." His fondest memory of being an IEEE member is serving on the IEEE Board of Directors. George most appreciated IEEE Foundation programs that attract students to engineering and provide humanitarian aid to underdeveloped areas. He generously donated to the Life Member Fund, the IEEE History Center and IEEE-USA. "I donate because I believe in the work of those groups, and that work would not be possible without voluntary donations," he said. George felt that IEEE Members are the principal resource to enable programs for scholarships, public outreach, development of STEM programs (science, technology, engineering, and mathematics), encouragement of Women in Engineering, and humanitarian aid. "When I achieved Life Member status, my member dues and assessments were waived, as well as my basic subscriptions to technical societies where I had five years or more membership. I believed that the savings should be diverted to charitable contributions to "give back" to the Institute that had helped throughout my career," George said. George regularly shared interesting statistics from Gross National Happiness by Arthur C. Brooks, Basic Books, 2008. "People who give charitably are happier than people who don't. The givers are 43 percent more likely than non-givers to say they are very happy. Volunteers are 42 percent more likely to be happy than non-volunteers." George used this information on behalf of the Foundation to inspire others. Thank you for your support, George, and rest in peace. John Meredith joined a joint IRE/AIEE Student Branch during his first week in college in 1960. Following graduation and assignments with the United States Navy, John became involved with IEEE’s Idaho Section and then Pikes Peak Section serving in several officer positions. John helped organize and then chaired a Solid-State Circuits Chapter. He was appointed to IEEE Region 5’s Executive Committee as Education Activities Chair. He was elected to serve as Region 5 Director in 2004-05 and also served as IEEE-USA President in 2007. In 2006, he was elected to the IEEE Foundation Board of Directors and chairs the Foundation’s Nominations and Corporate Governance Committee. He frequently and effectively presents on the Foundation’s behalf to encourage and excite other Members to donate and support the programs of the Foundation. “The IEEE Foundation allows me to channel my giving to projects and activities related to our profession. The projects and initiatives funded by the IEEE Foundation are making a difference,” said John. “I’m proud to be a supporter.” John and his wife, Lorraine, donate to various Foundation funds, but his primary focus is to preserve IEEE history. “History is all about the future -- it provides inspiration to create solutions to the grand challenges of today. Our legacy provides a great example for those who strive to make the world a better place,” John said. As the IEEE Foundation representative to the IEEE Life Members Committee, John supports the IEEE Life Members Fund and has a strong interest in the IEEE Awards Program. “I encourage all IEEE members to learn more about the IEEE Foundation and the opportunities to support its programs, activities and initiatives. I also encourage members to become involved by proposing philanthropic projects that will make a difference,” John said. 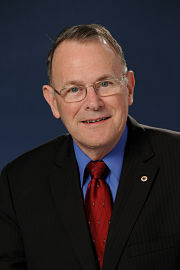 IEEE Senior Member E. James "Jim" Prendergast joined IEEE in 1977 while working on his Ph.D. at Cambridge University. "Accessing the latest technical information was a critical then as it is now for successful research. I began work for Bell Labs in 1980 and since then, IEEE has been a key aspect of my work life as well," he said. In 1992 he moved to Motorola, in 2002 he worked for DuPont. During all of his transitions he remained a member of IEEE and joined the professional staff as Executive Director in 2009. Over the years, he has belonged to ten Societies and has worked in five IEEE Regions. His core technical interests remain most closely aligned with those of the IEEE Electron Devices Society. The biggest benefit of IEEE membership, according to Jim, is being part of the technical community of experts where one can learn, debate and grow the overall body of knowledge. "IEEE is in the Knowledge Business through our publications, conferences, standards, and educational activities. I have lived through and participated in multiple technology revolutions and in every case IEEE played a key role. It's technical diversity and international footprint is unrivaled," he said. "I had the good fortune of attending some of the world's best universities through scholarships. I strongly support the Foundation's efforts in this area and in other educational programs," said Jim. He added, "it is our responsibility to give back and support future generations of technologists." Jim's generous donations to IEEE Foundation enabled his membership in the IEEE Heritage Circle at the Nikola Tesla level. He donates primarily to the IEEE Foundation General Fund because, "there are many areas where the IEEE Foundation can have significant impact. I believe that the management of the Foundation should have the flexibility to use their funds broadly." 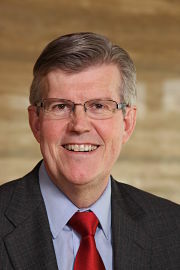 IEEE Fellow When John R. Treichler was a student engineer, joining IEEE was "THE way to stay connected with your colleagues and to have a forum for discussing new technical ideas." In fact, says Treichler, "it was expected at the time." 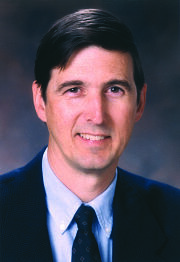 IEEE membership benefits filled John's need as he rose through corporate ranks to achieve his current position as Chief Technologist of Raytheon Applied Signal Technology, and rose through IEEE's member grade to become an IEEE Life Fellow. Throughout his progress, John gave back to IEEE by serving as an active member of the IEEE Signal Processing Society, currently serving as Vice President for Membership Awards. Recently, however, he started giving back in another way. John began to think about the "societal need for the preservation of the history of electrical and electronic technology and the people who created it," and began donating generously to the IEEE Foundation's History Center Fund, in order to support the Center's mission to preserve and make known the history of IEEE, its members, their professions, and the related technologists. When asked why his fellow IEEE members should take responsibility for the preservation of their shared technological heritage, John responds simply, "Who else is going to do it?" John Meredith joined a joint IRE/AIEE Student Branch during his first week in college in 1960. Following graduation and assignments with the United States Navy, John became involved with IEEE's Idaho Section and then Pikes Peak Section serving in several officer positions. John helped organize and then chaired a Solid-State Circuits Chapter. He was appointed to IEEE Region 5's Executive Committee as Education Activities Chair. He was elected to serve as Region 5 Director in 2004-05 and also served as IEEE-USA President in 2007. In 2006, he was elected to the IEEE Foundation Board of Directors and chairs the Foundation's Nominations and Corporate Governance Committee. He frequently and effectively presents on the Foundation's behalf to encourage and excite other Members to donate and support the programs of the Foundation. "The IEEE Foundation allows me to channel my giving to projects and activities related to our profession. The projects and initiatives funded by the IEEE Foundation are making a difference," said John. "I'm proud to be a supporter." John and his wife, Lorraine, donate to various Foundation funds, but his primary focus is to preserve IEEE history. "History is all about the future -- it provides inspiration to create solutions to the grand challenges of today. Our legacy provides a great example for those who strive to make the world a better place," John said. As the IEEE Foundation representative to the IEEE Life Members Committee, John supports the IEEE Life Members Fund and has a strong interest in the IEEE Awards Program. "I encourage all IEEE members to learn more about the IEEE Foundation and the opportunities to support its programs, activities and initiatives. I also encourage members to become involved by proposing philanthropic projects that will make a difference," John said.